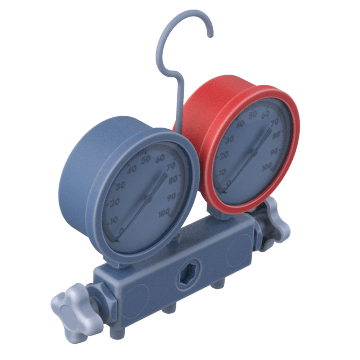 Use these gauges with a manifold to diagnose and repair refrigerators or cooling systems. 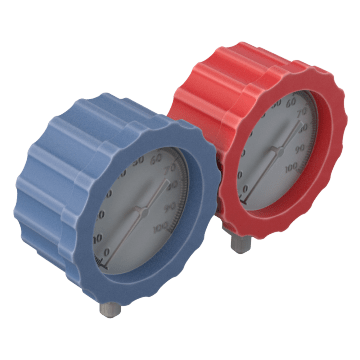 They measure both low and high pressure with either digital or mechanical gauges to troubleshoot issues such as leaks, or to help when evacuating and recharging your system. Mechanical gauges can be protected from damage with boots, and replaced if necessary. 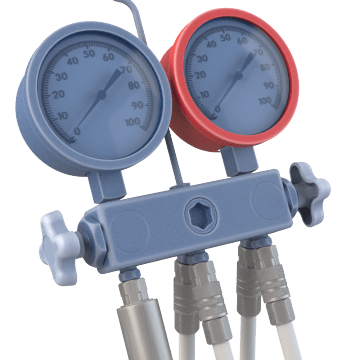 Able to measure low and high pressures, these gauges measure refrigerant pressure in refrigerators and cooling systems. They can determine if your system is fully charged or losing enough pressure to indicate a leak. They also monitor pressure when adding refrigerant or evacuating and recharging the system. 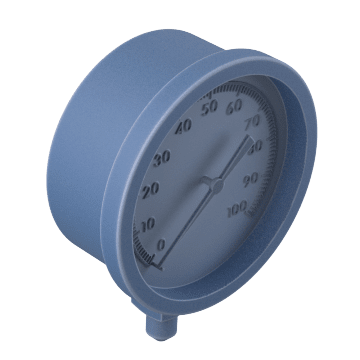 Mechanical low pressure gauges are also known as compound gauges. Ensure accurate readings by replacing worn or damaged mechanical manifold gauges. The red gauge represents the high side measurement and the blue gauge represents the low side. Slip these protective covers over gauges to cushion them from the accidental bumps and bangs of typical use.